Why Coaching is absolutely STILL one of the best businesses to be in. I work with women and men around the globe who want freedom and fulfillment that comes from helping people. They are coaches. They are teachers. They are corporate executives. They are doctors. They are parents. They are office assistants. But…the two things they all have in common is Passion for helping people overcome something that they themselves have overcome AND they have a strong desire to turn this offering into a sustainable successful freedom-centered business of their own. There is a lot of noise on social media now about ‘6 figure months…get rich while you sleep’ etc…and while there is truth to this as a real possibility for anyone…real success starts and ends with helping someone overcome a problem. And your version of that is real and profound…don’t minimize your gifts. They were given to you for a reason. I love my clients and I get as excited for them as they do. But believe me when I tell you, working closely with people is not for the faint of heart. Many shy away from it. It is the work that moves the needle….for real. It is also the work that changes lives…makes a profound impact…and creates opportunity for life changing financial success..freedom. See, I think the world needs more BRAVE and less brag. That is where the one on one coaching comes into play. It’s lucrative in ways that allows successful coaches to make an even bigger impact and change life for their family. It’s giving someone a co-pilot, a co-creative mind to work with and can flip the switch. YES! So…coaches I salute you. You are seen. You are loved. You awe and inspire and please keep …ON. *Free 5 day challenge for coaches starts in a few weeks. Register here. 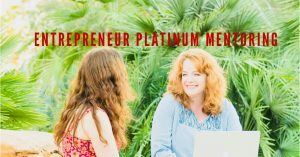 *Booking now for winter platinum and Rich Hot Free Entrepreneur – we start with a chat here.